Drop Drinks | Abandon Spoon! 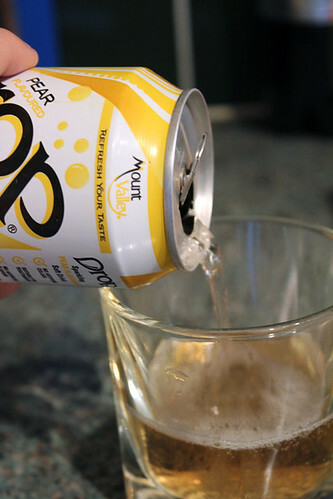 Drop is a new drink released onto the market in January 2011 by Mount Valley. 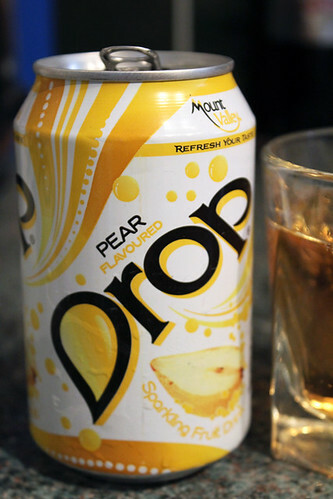 The flavour is pear drop, like the popular sweet that reminds me of my childhood. 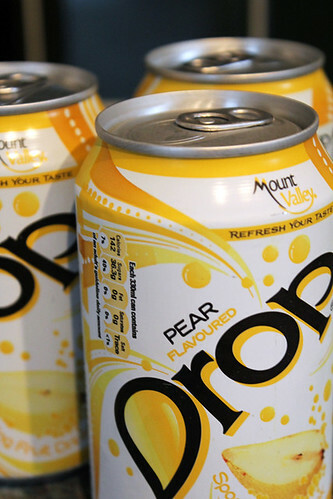 I found out about this drink through a friend and as I love pear drops contacted drop drinks offering to review their drink for them. I was expecting it to be quite sickly- a bit like those neon coloured drinks called KA, which I do happen to like to drink on occasions. But it wasn’t half as sweet as I though it might be. The smell of it is very strong and exactly like a pear drop, and it is sweet, but not so much that you don’t want to drink the whole can. The colour doesn’t look like it has a hundred e-numbers in it, and doesn’t taste like it either. You could even replace having a chocolate bar after dinner with this drink as it satisfies that urge for a little something sweet after savoury. 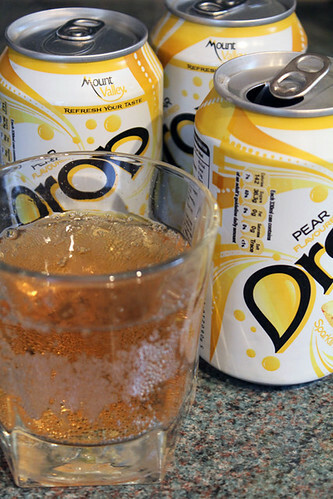 If you are like me and love the taste of pear drops then you will definitely like this drink, and even those of you who don’t may like it too. For more information on where to buy Drop visit their website.